Once the European settlers came to Western Canada, the way of life for the aboriginals was threatened and Big Bear, a Cree Chief, fought, through protests of peace to make things better for his people. He was branded a troublemaker. This is his story and the story of his people, an account of one man's losing battle against authority. Big Bear had fought the authorities by word, his people fought with bullets and both lost. By 1887, Big Bear's people were scattered throughout the country, most of his family was in Montana, he died alone in January of 1888. It's August 181h, 1876, on the Carlton side of the North Saskatchewan, the day for signing Treaty #6, between the Lieutenant Governor of Manitoba and the Northwest Territories, Alexander Morris and the Ruling Chiefs. Artist, Gus Froese has superimposed upon this mural three Indian chiefs who tower over the proceedings, but are not actually a part of it. To the left is Chief Beardy, who signed the Treaty ten days later on his own turf, then Chief Big Bear and Chief Poundmaker, who also were not part of the original signing. The whole event takes place under a foreboding sky, which hints of conflict yet to come. 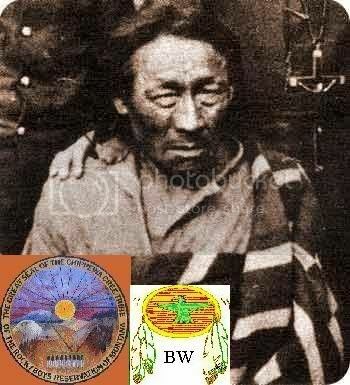 Chief Big Bear, laying on his deathbed called together his two sons, Dark Claw and his younger brother Wild Horse. Knowing that he would go to the great hunting ground in the sky soon he told them "Soon one of you will become chief, but in order to do so you must pass a test. The chief knew that Dark Claw only wanted to kill but his younger son Wild Horse wanted peace more than anything. 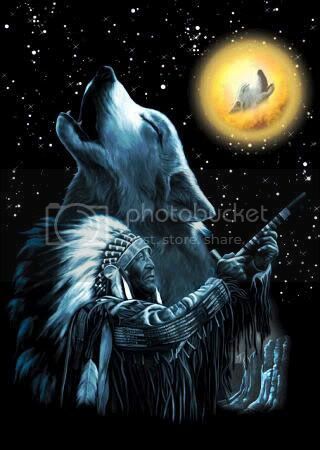 The honor of being chief mostly fell to the older son, but Big Bear did not want to give it to his eldest son. Your test shall be go to the over the mountain, down the mighty river, to a clearing, there is a spring that has the purest and sweetest water I have ever tasted. I was a boy there until the white man drove us out. Dark Claw's eyes opened wide with anger at the mention of the white man. Bring me back some water from that spring so I may drink one last time before I die. A mischievous grin came on Dark Claw's face as he looked at his younger brother. Dark Claw was much bigger than Wild Horse. He was faster but not as smart. He thought this would be an easy way to become chief. He would follow his brother and wait for him to bring back the water, and then he would kill him and take the prize to Big Bear, and become chief. You will leave at sunrise and the first to return with the water will be chief.